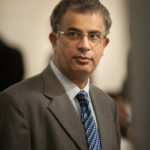 Adnan Khan is Research and Policy Director of the International Growth Centre. He lectures at the LSE and is a Co-chair of the LSE-Oxford Commission on State Fragility, Growth and Development. He did his graduate work at Harvard Kennedy School and Queen’s University where he received his Ph.D. in Economics. His research interests lie in the areas of development economics, public finance and political economy. Making Moves Matter: Experimental Evidence on Incentivizing Bureaucrats through Performance-Based Transfers (with Benjamin Olken, MIT, and Asim Khwaja, Harvard) Appendix here. Best Practice Award at the PEGNet Conference 2017 for effective interaction between research and practice. Appendix here. NBER Working Paper #24383. American Economic Review forthcoming January 2019. Tax Farming Redux: Experimental Evidence on Incentive Pay for Tax Collectors (with Ben Olken, MIT, and Asim Khwaja, Harvard) Quarterly Journal of Economics, 2016; Documentary; Policy Briefcase: Paying for Performance; Policy Report: Property Tax Experiment in Punjab, Pakistan; Blog. The Impact of Social Networks on Labour Market Outcomes: New Evidence from Cape Breton (with Steven Lehrer, Queen’s) NBER Working Paper, Canadian Public Policy 2013. Breaking the Counter-cyclical Pattern of Local Democracy in Pakistan (with Roger Myerson, Chicago, and Ali Cheema, LUMS), in ‘Is Decentralization Good for Development? Perspectives from Academics and Policymakers’, edited by J.P. Faguet, Oxford University Press 2015. Local Government Reforms in Pakistan: Context, Content and Causes (with Asim Khwaja, Harvard and Ali Cheema, LUMS), for Pranab Bardhan and Dilip Mookherjee’s ‘Decentralization and Local Governance in Developing Countries’, MIT Press, USA 2006. Capacity Development for Education Service Delivery in Pakistan: Top Down Devolution (with David Watson) in Public Administration and Development 2010. Capacity Building for Decentralized Education Service Delivery in Pakistan (with David Watson) (Discussion Paper 57G) European Centre for Development Policy Management: Maastricht 2005. Decentralization in Pakistan: Context, Content and Causes (with Asim Khwaja, Harvard, and Ali Cheema, LUMS) KSG Working Paper No. RWP05-034. Political Connections and Vote Choice: Evidence from Pakistan (with Jacob Shapiro, Princeton, Michael Callen, Harvard, Ali Cheema, LUMS, Farooq Naseer, LUMS, and Asad Liaqat, Harvard). Incentives and the Allocation of Authority in Organizations: A Field Experiment with Bureaucrats (with Oriana Bandiera, LSE, Andrea Prat, Columbia, and Michael Best, Columbia). Rebuilding the Social Compact: Urban Service Delivery and Property Taxes in Pakistan (with Benjamin Olken, MIT, Asim Khwaja, Harvard, and Mahvish Shaukat, MIT). Precision versus Proximity: Evidence from Survey Experiments with Civil Servants (with Michael Callen, Harvard, Asim Khwaja, Harvard, and Asad Liaqat, Harvard). The Design of Social Protection Programs for the Ultra-Poor: Asset Transfers versus Unconditional Cash Transfers (with Robin Burgess, LSE, Imran Rasul, UCL, Oriana Bandiera, LSE, and Orazio Attanasio, UCL). Evaluating the Take-up, Usage, and Impact of Mobile Money Accounts (with Greg Fischer, LSE, Joshua Blumenstock, Washington). Transforming the Public Sector by Improving Bureaucratic Performance: Mission Match and Slack in Bangladesh (with Timothy Besley, LSE, and Dan Honig, John Hopkins). Graduating out of poverty (with Benjamin Olken, MIT, and Rema Hanna, HKS). Tax and Political Connections (with Monica Singhal, UC Davis, and Asim Khwaja, Harvard). Identifying the Impact of Decentralization: Evidence from Pakistan (with Asim Khwaja, Harvard and Ali Cheema, LUMS). Effect of Capacity in Delivery of Urban Services (with Gharad Bryan, LSE, Gerard Padro i Miquel, Yale, Asad Liaqat, Harvard, and Ali Cheema, LUMS). Co-chair, LSE-Oxford Commission on State Fragility, Growth and Development with David Cameron and Donald Kaberuka as Co-chairs and Tim Besley and Paul Colliers as Academic Directors. Escaping the Fragility Trap (with Timothy Besley and Paul Collier), Final Report, April 2018, LSE-Oxford Commission on State Fragility, Growth and Development. Targeting the Poor (with Rema Hanna and Benjamin Olken), IMF Finance & Development, December 2018, Vol. 55, No. 4. These 3 barriers make it hard for policymakers to use the evidence that development researchers produce (with Michael Callen, Asim Khwaja, Asad Liaqat and Emily Myers). Blog for The Monkey Cage at The Washington Post. Rewarding bureaucrats: Can incentives improve public sector performance? (with Oriana Bandiera and Julia Tobias) Growth Brief, International Growth Centre 2017. Designing Incentive Structures in Bureaucracies: A Case Study for Civil Service Reform in Pakistan (with Asim Khwaja and Tiffany Simon), Evidence for Policy Design, Harvard Kennedy School. Taxing to develop: When ‘third-best’ policies are optimal (with Henrik Kleven and Upaasna Kaul) Growth Brief, International Growth Centre 2016 (FT Blog in beyondbrics). Asset Transfer Program: One Year Impact Report (with Imran Rasul, UCL, Schanzah Khalid, CERP, and Shujaat Ali, CERP) PPAF-CERP, 2015. Punjab Economic Opportunities Program, Phase 1 Baseline Report for Livestock (with Imran Rasul, UCL, Saad Gulzar, IGC, David Hollywood, UCL, Hafsa Iqbal, CERP, and Arqam Lodhi, CERP) 2013. Punjab Economic Opportunities Program, Livestock Supply Side Surveys Report (with Imran Rasul, UCL, Omar Gondal, CERP, Anam Shoaib, CERP, Sahaab Sheikh, CERP, and Minahil Niazi, CERP) 2013. Tax in Developing Countries: Increasing Resources for Development (with Timothy Besley, LSE) Written Evidence for the International Development Select Committee, UK Parliament 2012. A Study of Informal Finance Markets in Pakistan Pakistan Microfinance Network 2005. About 10 years as researcher and catalyser of others’ research, most importantly as Research and Policy Director at International Growth Centre, LSE. Applications and Cases in International Development, Harvard Kennedy School 2018-19. Economic Development: Using Analytical Frameworks for Policy Design, Harvard Kennedy School 2018-19. Policy, Bureaucracy and Development: Theory and Practice of Policy Design, Implementation and Evaluation, International Development Department, LSE (2014 – ). Bureaucracy and Policy: Opening the Black Box of Governance, Harvard Kennedy School. CIFAR, IGC, and the British Academy host a panel discussion with Sir Tim Besley (LSE), Rachel Glennerster (DFID), Adnan Khan (IGC), and Roger Myerson (University of Chicago) to discuss the findings of the LSE-Oxford Fragility Commission's report 'Escaping the Fragility Trap'. Salary incentives for tax collectors could significantly increase the amount of taxes raised in Pakistan, according to this new IGC film (produced by Econ Films).